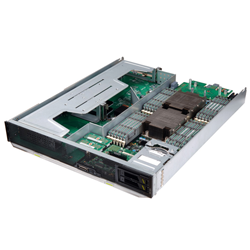 This compute node is designed for application acceleration, VDI, virtualization, and databases. It also provides superior scalability and a huge memory capacity. 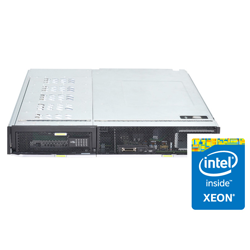 The node features Intel® Xeon® processors and supports up to 24 DIMM slots, 2 internal hard disks, and 4 standard PCI x8 full-height, half-length cards. It can be expanded for I/O acceleration components such as PCIe SSDs and GPUs..
24 DIMMs apply mainstream granules and double the memory capacity up to 1.5 TB DDR3, providing the highest cost-efficiency for large-memory applications. 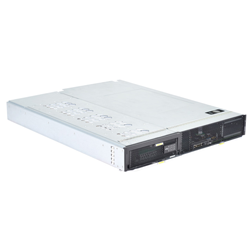 Provides 4 PCIe* x8 full-height half-length slots for installing 4 GPUs or PCIe SSDs, providing the best possible PCIe expansion capability on a single compute node. Reduces O&M costs by supporting remote deployment and fault location technologies such as SOL, KVM-over-IP, virtual DVD-ROM drive, WebUI, and IPMI 2.0-compliance. Efficient, secure power consumption analysis and control capabilities include power-off mode, and Intel® NM 3.0 compliance.